Designed specifically for the smaller sensor (1.6x crop) Canon DSLRs (the rebel series, the 7D, the 650D and so on) the EF-S 10-22mm f/3.5-4.5 USM lens (equivalent to a 16-35mm zoom lens on a 35mm DSLR) has a total of 13 lens elements (including one aspherical element and 2 super UD elements) arranged in 10 groups. This lens has been designed specifically for small sensor DSLRs from Canon and is intended for users who want a wider perspective for their pictures. 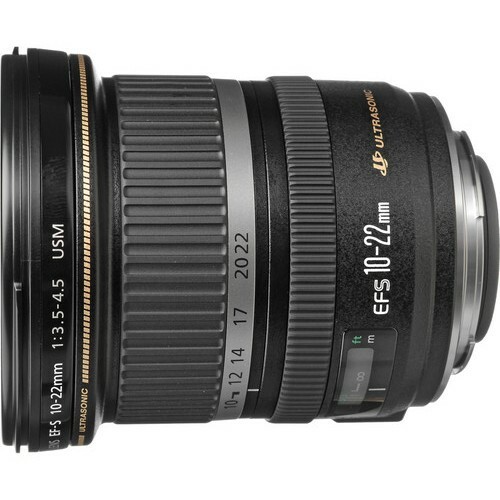 This is an ideal lens for the purpose of shooting landscape, nature, architecture, group photos. It is also suitable for street photography if you are interested in something such as that. 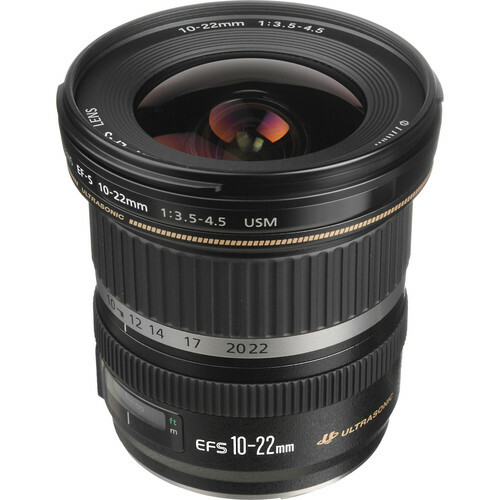 The lens has a aperture of f/3.5 at 10mm while at 22mm it provides f/4.5. The lens can stop down all the way to f22 – f/29. The presence of USM (Ultra-Sonic motor) means the lens can focus fast and quietly. It also means full time manual focusing which means just a turn of the focusing ring when the AF is switched on and you should be able to manually fine tune the focus as you want. Always insist on checking the type of USM that Canon has provided in the lens. The best type is indeed the Ring-type while there is also a cheaper Micro-Motor type which is not recommended. 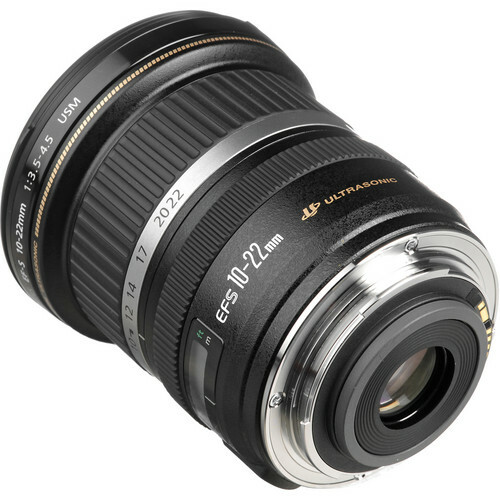 The lens has a close minimum focusing distance of 0.79’ or 0.24 meters. The overall dimensions of the lens are 3.3″ x 3.5″ while weighing 385 grams. The lens takes a filter of size 77mm. Available at Amazon | Adorama | B&H.